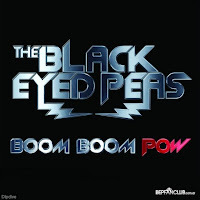 While "Boom Boom Pow" officially clenches the top of the US Hot 100 for its eleventh week, followup single "I Gotta Feeling" which unofficially features David Guetta, has offiically debuted in the #2 position, making it the Hot Shot of the Week. One artist taking the top two positions on the Hot 100 has only happened twelve times in Billboard's entire history. The first time was back in 1956 with Elvis Presley and "Hound Dog"/"Don't Be Cruel" and "Love Me Tender" holding the top two spots. In April of 1964, The Beatles held the top 5 positions (#1-#5: Can't Buy Me Love, Twist and Shout, She Loves You, I Want To Hold Your Hand, and Please Please Me). The Bee Gees also held the two two positions in 1978 with "Night Fever" and "Stayin' Alive", both from the Saturday Night Fever soundtrack. This feat didn't happen again until 2002 when Ashanti broke on to the scene with "Foolish" and her collabo with Fat Joe "What's Luv?". Since then, it has happened once almost every year: Nelly in 2002, Outkast in 2004, 50 Cent in 2005, Mariah Carey in 2005, Akon in 2006 and 2007, T.I. in 2008 and now BEP. This marks the first time a mixed gender group has joined this rank. I thought this was interesting so...fyi. It's pretty impressive, no doubt. I want to be tired of "Boom", but it's just not happening yet. What I think it's strange is how this song which I consider worse than for example Shut Up is doing better. Anyway both songs are good like the whole album.